Sleep apnea is a common disorder in which you have one or more pauses in breathing or shallow breaths while you sleep. Breathing pauses can last from a few seconds to minutes. They may occur thirty times or more an hour. Typically, normal breathing then starts again, sometimes with a loud snort or choking sound. Using a CPAP machine to treat your sleep apnea can improve your life. Having sleep apnea changes your life, because you’re not sleeping and that affects all aspects of your everyday life. Sleepiness and daytime fatigue are common symptoms of sleep apnea. CPAP machine can restore your normal sleep pattern and increase your total sleep time by eliminating breathing pauses in your sleep. This will help you wake up feeling more refreshed and boost your energy throughout the day. Untreated, severe sleep apnea can damage your brain tissue. As a result you may have trouble concentrating. You also may suffer from memory loss and a CPAP can also can improve your productivity and decrease your chance of making a costly mistake at work. By keeping your airway open as you sleep, CPAP reduces or eliminates the sound of your snoring. Sleep apnea is linked to a variety of heart problems because it causes you to stop breathing many times each night. These breathing pauses cause changes in your blood pressure and can reduce your blood oxygen levels. This puts an enormous strain on your heart. People with untreated sleep apnea have a higher rate of death from heart disease than those without sleep apnea or with treated sleep apnea. Types of heart problems include, congestive heart failure, coronary artery disease, and irregular heartbeat. A stroke is a sudden loss in brain function. It occurs when there is a blockage or rupture in one of the blood vessels leading to the brain. People with untreated sleep apnea are two to four times more likely to have a stroke. Using CPAP to treat your sleep apnea can improve insulin sensitivity. Sleep apnea is related to glucose intolerance and insulin resistance, both factors in type 2 diabetes. At Spark Sleep Solutions, it is our goal to ensure you have a great night of sleep. 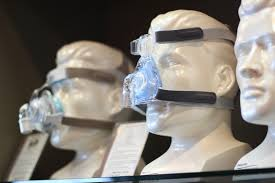 We offer testing and CPAP machines and alternatives. We have five locations to serve your all your sleep apnea needs. Our locations are in Santa Cruz, San Jose, San Ramon, Los Gatos, El Camino Hospital – Los Gatos. Give us a call today to learn more!